DHFL Records 95% Fall in Disbursements! What Are the Implications? Disbursements of DHFL during the December 2018 quarter shrunk to just Rs510 crore, a fall by over 95%. This raises serious questions about how the business will grow. According to analysts, DHFL reported a slow-down in business 'as per expectation' after IL&FS and liquidity crisis. The focus of management has shifted to conserving cash and, hence, the assets under management declined by 3% on sequential basis. It appears that DHFL management repaid loans of around Rs18,000 crore up to December, since the IL&FS crisis. The management claimed to securitising assets to ensure the liquidity and repayment of liability. In the conference call after the results, the management said it will plan to focus more on retail assets and, hence, developer segment will decline to 5% from current 17% range. The earnings spread is expected to compress significantly due to aggressive sell down approach; however, it would provide much needed liquidity to the company. The earnings will remain under pressure for a few more quarters due to such transformation in business. Change in assets mix towards retail would help in lowering delinquencies and will reduce credit cost going ahead. Further, management is planning to divest its non-core investment. The deal is expected to finalise soon which could boost book value by Rs2,000 crore. We believe that a dramatic fall in disbursements will have a huge impact on the company. A finance company survives by a continuous process of borrowing and lending. The lack of disbursements will make it difficult for DHFL to generate cash to repay its lenders. If the business shrinks or stagnates, it will be increasingly difficult for DHFL to sustain its existing operations, leading eventually to liquidity crunch. The business of a non-banking finance companies (NBFCs) like DHFL revolves around the cycle of credit, which involves getting loans at a low cost and disbursing them to the clients at a higher rate of interest. This is what results in a positive net interest margin at its most basic level. This cycle is now broken. We believe that securitisation will have a limited benefit. DHFL has grown at a breakneck speed all these years and now has borrowings of a stupendous Rs1 lakh crore. 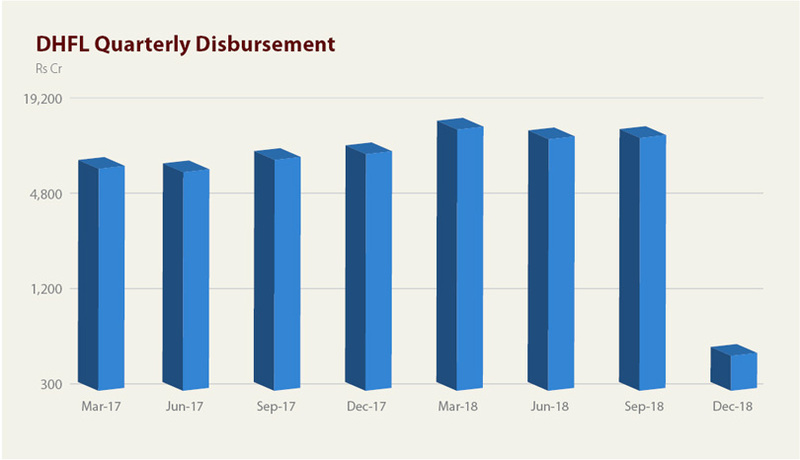 A repayment of Rs32,000 crore has to be made over the next one year, of which Rs5,000 crore will be paid in the March quarter of FY18-19. Not a rupee of this borrowing can be wished away. Whether the assets represents this borrowing accurately remains to be seen. The key point about DHFL now is that can it succeed in deleveraging gently or will the sudden braking trigger an acute liquidity crunch. We have emailed the DHFL management our questions. We will update this article as and when we receive any response from the company. now why their CEO resigns? another RED Alert! OBSULULY TRUE 100%, INDIA'S NO.1 FRAUD COMPANY, DEARS... BE ALERTS, BIG SCAN....!!! "The lack of disbursements will make it difficult for DHFL to generate cash to repay its lenders." - This seems to be the most irrelevant statement in the article. Cash is generated from previous loans not from disbursements. Correct, even I was trying to figure-out the logic! very surprised why Crisil has still maintained AAA status? if DHFL deserves it, then we may be wrong in analysis. What I can read between the lines is that the co is trying to sell off whatever it has and close out the debt. Clearly, a recognition that funding lines are not easy to come by. In previous article, we saw how regulators across the globe are engaged in developing principle of sound mortgage lending, post the global financial crisis of 2007-2008. 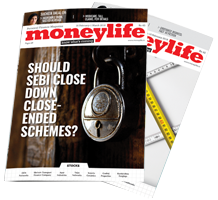 In this part, we will take a look at guidelines issued by several authorities for sound mortgage lending. To ensure that potential risks associated with mortgage lending are managed adequately by credit institutions, and to contribute to the development of consistent practices in this area, the European Banking Authority (EBA) opined on good practices for mortgage lending. However, wording of the good practices laid down by EBA closely follows the FSB Principles. The guidelines apply to loans to consumers that are:  secured either by residential mortgage or by another comparable security commonly used in some EU markets on immovable residential property; secured by a right related to immovable residential property; and loans, the purpose of which is to acquire or retain rights in immovable residential property. In addition to FSB’s criteria concerning verification of information, EBA also suggests specifying the minimum period for which consumers should be asked to provide income information by creditors, using a specified minimum amount for living expenses for each household member as part of the creditworthiness assessment, requiring the calculation of a reasonable loan load or debt-to-income maximum for each consumer, the need for the creditor to consider documenting that the consumer is financially able to bear the risks attached to a foreign currency mortgage (which would include considering the impact of a severe depreciation of the local currency and an increase in foreign interest rates); the creditor having to provide numerical examples to illustrate the impact of increases in variable interest rates, or of currency fluctuations where the loan is a foreign currency mortgage. Further, practice identified by EBA in relation to Loan to Value ratio involves the consumer needing to certify that any down payment is from their own funds rather than from other borrowing; that in the event of repayment being based on the sale of the asset, the assessment should consider changes in market value and liquidity rating. The Office of the Superintendent of Financial Institutions (OSFI) is an independent agency of the government of Canada established in 1987 to contribute to public confidence in, and the safety and soundness of, the Canadian financial system. OSFI supervises and regulates federally registered banks and insurers, trust and loan companies, cooperative credit associations, and fraternal benefit societies, as well as private pension plans subject to federal oversight, and ensures that they are complying with their governing legislation. The supervision of Federally Regulated Mortgage Insurers(FRMI) is principles-based. It requires the application of sound judgment in identifying and assessing risks, and determining, from a wide variety of supervisory and regulatory options available, the most appropriate method to ensure that the risks that an FRMI faces are adequately managed. This Guideline sets out the Office of the Superintendent of Financial Institutions’ (OSFI’s) expectations for prudent residential mortgage insurance underwriting and related activities. This Guideline is applicable to all federally-regulated mortgage insurers (FRMIs) to which the Insurance Companies Act applies and that provide mortgage insurance for residential mortgage loans in Canada, and/or reinsurance for such insured loans. A FRMI should ensure that a lender applying for mortgage insurance coverage is adequately qualified to offer and service mortgage loans and that it has adequate processes in place to comply with the FRMI’s mortgage insurance coverage requirements, before providing mortgage insurance coverage to that lender. The mortgage loan parameters shown below are central to FRMI central to its sound mortgage lending practices. Maximum allowable loan term and amortization length. Background and Credit History: An FRMI should outline acceptable methods for lenders to assess the financial background of prospective borrowers, including the use of credit history checks and credit bureau reports. The mortgage loan criteria should outline the FRMI’s minimum credit bureau score requirements. Down Payment: An FRMI should establish minimum down payments, as well as acceptable sources of down payment in its criteria. In particular, the FRMI should specify where traditional sources of down payment (e.g., borrower’s own equity) are required and cases where non-traditional sources for the down payment (e.g., borrowed funds) may be used. Where non-traditional sources of down payment are being used, further consideration should be given to establishing greater risk mitigation and/or additional premiums to compensate for increased risk. Incentive and rebate payments (i.e., “cash back”) should not be considered part of the down payment. Income and Employment Verification: An FRMI should specify for lenders, processes for verifying a borrower’s underlying income and sources of income. This includes substantiation of employment status and the income history of the borrower. For borrowers who are self-employed, an FRMI should outline reasonable steps for lenders to obtain income verification (e.g., Notice of Assessment) and relevant business documentation. Debt Service Coverage: An FRMI should outline quantitative limits on debt service coverage ratios, using measures such as the total debt service (TDS) and gross debt service (GDS) ratios, as a means to assess affordability. 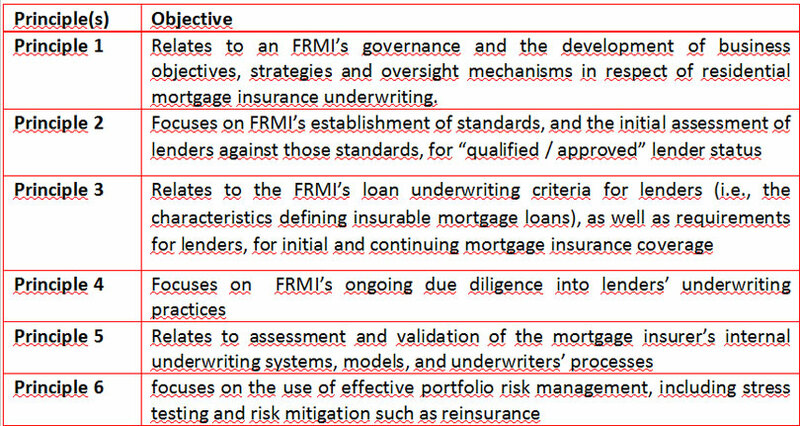 To reduce ambiguity, an FRMI should clearly outline the formulae to be used by lenders to calculate debt service coverage and describe how key inputs (e.g., income, mortgage loan interest and principal repayment, other debt obligations, etc.) should be treated. Loan Recourse and Additional Assessment Criteria: An FRMI’s decision to insure a mortgage loan (or require higher risk mitigation) should consider the effectiveness of recourse against the borrower in the event of borrower default. To the extent possible, an FRMI should also consider factors that would not ordinarily be captured by income and debt serviceability metrics, such as the borrower’s assets (e.g., savings). Furthermore, conducting a thorough assessment of the underlying property, prior to insurance approval, helps to reduce risk in the residential mortgage insurance business. As part of the FRMI’s criteria for mortgage loans, an FRMI should outline clear and transparent policies in respect of the property acting as collateral, including insurable property types, responsibility for property valuation and property valuation assessment. In assessing the value of a property (or requiring a third party to carry out the assessment), an FRMI should take a risk-based approach, and consider a combination of valuation tools and appraisal processes appropriate to the underlying risk being undertaken (e.g., automated valuation model, review of comparable properties, on-site inspections, drive-by appraisals, progress inspection reports, and/or a full appraisal). In general, an FRMI should not rely exclusively on any single method for property valuation. An FRMI should undertake a more comprehensive and prudent approach to collateral valuation for applications with higher overall risk (e.g., less liquid properties, higher risk borrowers). All India Bank Officers' Confederation (AIBOC) has strongly condemned management of Catholic Syrian Bank (CSB) for unilaterally reducing retirement age of its officers to 58 from the industry standard of 60 years. AIBOC also condemned the 98-year lender, now majority owned by Fairfax India Holdigs Corp, for its anti-labour policies and retrenchments. In a statement, the apex trade union of bank officers in the country representing a membership of over 3,20,000, says, "...the Bank on 21 January 2019, by way of an internal circular, announced that the board of directors have decided to unilaterally reduce retirement age of officers to 58 years from 60 years against the industry standard retirement age of 60 years. Incidentally, the head of human resources (HR) department, who announced this decision is above 60 years and there are many executives, who have joined CSB after completing their careers from other banks are well above 60 years and this change in retirement is not made applicable for these top executives including the managing director (MD)." Soumya Datta, general secretary of AIBOC says, "...these actions at the cost of putting the Bank on the growth trajectory, reveal that the MD & CEO somehow wants the industrial relations in the Bank to continue the way it is so that he can continue reaping many benefits by holding on to his position without any questions asked on the business front." "These regressive measures of an MD & CEO of a Bank, if not checked by the authorities in time would tantamount to letting him take the entire Industry to ransom as AIBOC is determined to take the fight to any level against these retrograde measures and it would be only the MD & CEO of the Catholic Syrian Bank who would be squarely held responsible for the consequences," Mr Datta added. According to the union, as a prelude to this final blow of reduction in retirement age, few weeks ago, the bank management handed out compulsory retirement to around 60 officers citing non-performance. However, many officers on this list had received good scores in the performance appraisal. "Thus, the game plan to terrorise the officer community is really visible and AIBOC strongly objects to such draconian measures, which are inimical to the interest of the institution and as well as employees declares that these moves would not be allowed to succeed in the Indian banking industry," it added. 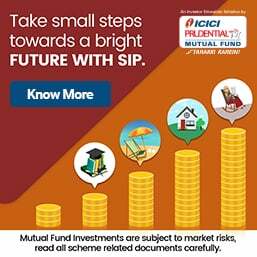 Warning that such unrest and unwarranted provocations do not do not augur well for that Bank and would set a bad precedent for the Indian banking industry, the bank officer's union appealed to Reserve Bank of India (RBI) and the Government to intervene immediately and set the house in order in Catholic Syrian Bank. AIBOC has called for a 'maha morcha' against anti-employee attitude of Catholic Syrian Bank on 4 February 2019 in Delhi. Catholic Syrian Bank is the first bank in history where 51% holding through foreign direct investmetn (FDI) was permitted. As a result, Canadian billionaire Prem Watsa-owned Fairfax India Holdings Corp holds 51% stake in the 98-year-old Bank. The hope that the entry of Fairfax Capital would set professionalism into the bank was spurned with the management cutting retirement age of officers to 58 years, the AIBOC stated. Due to computerisation in the banking industries, the management of various banks in India do not need human labour and instead depend upon artificial inteliigence. Thy want to get rid of human work force and to utilse the service of mechanisations. In this way, the labour force of the banking industries dwindling rapidly and the union of banks which supposed to fight for the welfare of the workmen and officers of banking industies have no say due to trimming of its members. Managements have upper hand in any arbitarary decision and the union remain only as a paper tiger.